The healing hand and surgeon’s scalpel are intertwined on Shepherds’ new album Insignificant Whip. The art-rock masterpiece encases the band’s vulnerable wisdom in flighty melodies that burn with intimacy and fragility as singer/lyricists Jonathan Merenivitch and Adrian Benedykt Świtoń address everything from toxic masculinity and Catholic guilt to Youtube comments and Tupac Shakur. Since their 2011 EP Holy Stain, the band have received accolades for their taut analyses of social ills and the resulting strain on body and mind, but even the skeletal no-wave that defined their early sound was bound with, in the broadest sense of the word, soul. The band’s ability to confront their deepest insecurities and doubts is more than simple catharsis, it serves to illuminate deeper questions of existence and identity, and frame them in context of systemic oppression, discrimination, and isolation. 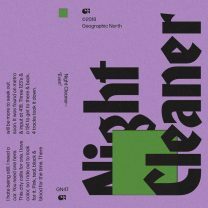 The minimalism which guided Shepherds’ earlier work has evolved into lush, expansive compositions thanks to founding bassist Peter Cauthorn, who helped flesh out the LP’s identity as a core contributor to the album’s instrumental textures. 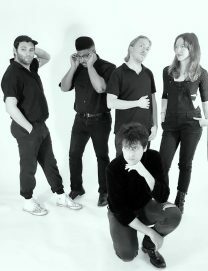 Vocalist and drummer Świtoń also took on a central role in the recording process, contributing his voice and songwriting talents to the the album’s pensive hue, while new additions Ryan York (drums), May Tabol (guitar, keyboards), and Vinny Restivo (bass) round out the live band. 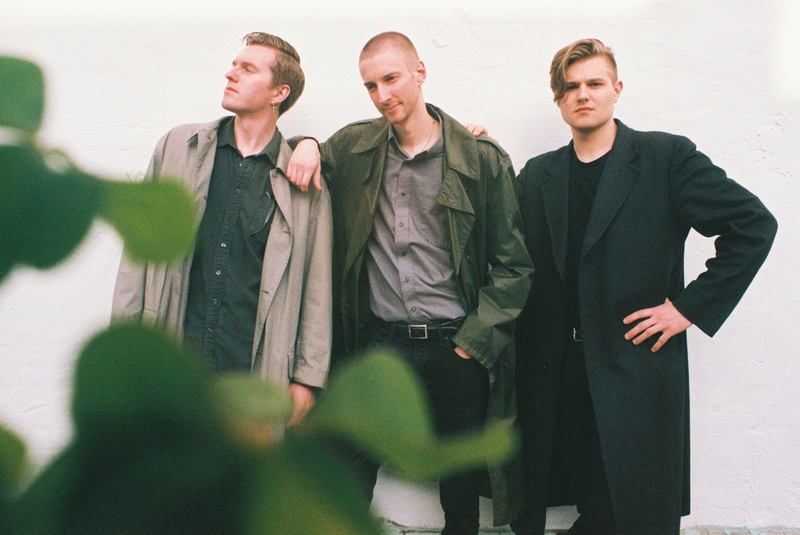 Moments on Insignificant Whip recall everything from Felt to Josef K, but Shepherds have a keen ability to write post-punk which is modern and prescient rather than a simple homage to a particular era of underground music. The martial rhythms still echo with the proletariat fever of their 2015 LP Exit Youth, but now the lyrics are delivered over thrilling saxophone melodies and deliberative chords, making them all the more haunting, thanks to production from Drew Vandenburg (Toro Y Moi, Mothers, Of Montreal). Throughout Insignificant Whip, the introspective nature of Shepherds is amplified by a holistic understanding of what it means to be human. The anxieties of adulthood, the teenage desires deferred, and the crushing weight of evil in the world are forged into vulnerable psalms. It’s precisely in these tear-stained moments that the album surpasses the encroaching anxiety as Shepherds invite the listener into a community which tempers the surrounding darkness and pushes back against oppression with resolute empathy.